I will wager a bet that many of you know what the acronym IMBA stands for. For folks who don’t, it is the International Mountain Bike Asociation. They are an advocacy and education non-profit, focused on building and maintaining sustainable mountain trails for everyone to enjoy. The group holds a variety of useful workshops and other events that you can learn more about here. Seven years ago IMBA launched an intentional effort to add meaning to the “International” piece of their name. 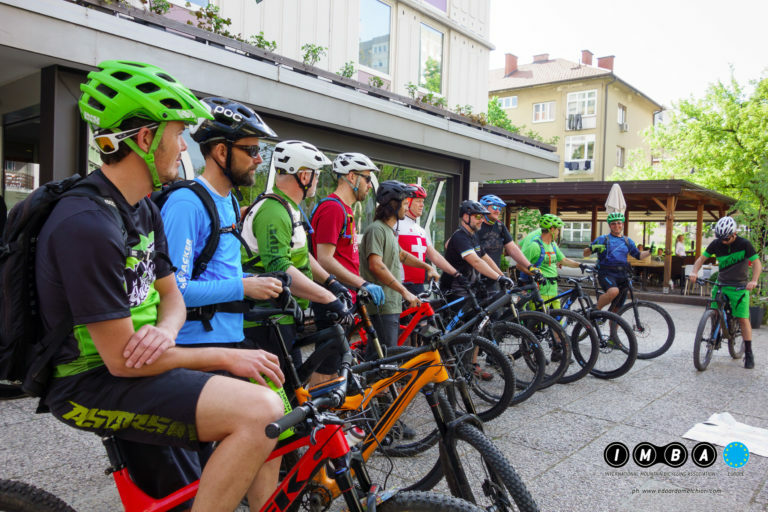 Since its inception in 1988, the organization has worked to “grow the quantity and quality of mountain bike trail communities across the U.S.” With the 2012 IMBA World Summit in Zurich, MTB trail advocacy excitement began spreading across Europe. Today more than 22 European nations have their own IMBA chapter and are working to improve mountain biking by taking on their unique challenges. IMBA Europe’s 2015 rider survey showed a great interest in increasing trail access and encouraging more participation in the sport. A narrow majority of members on the survey were Italians. 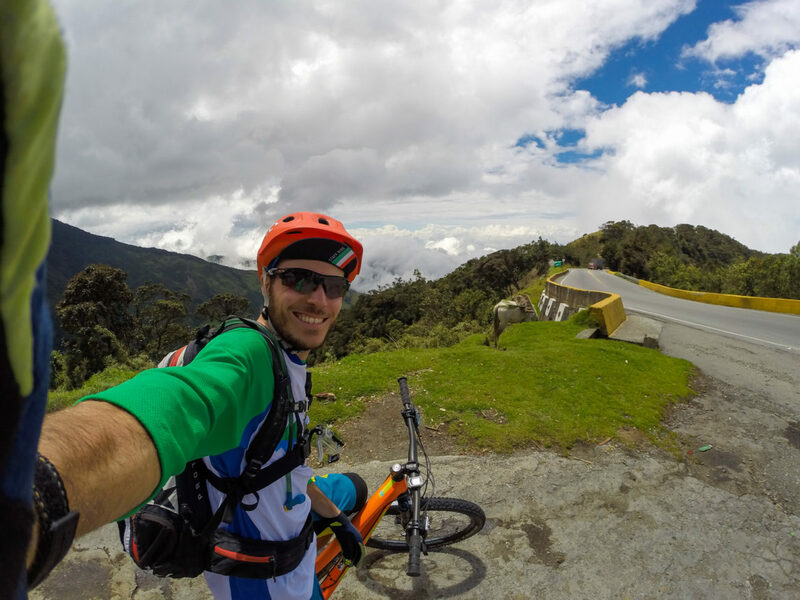 I recently spoke with Edoardo Melchiori, Vice President of IMBA Italia, who happens to also live in Turin only a few blocks from my home. 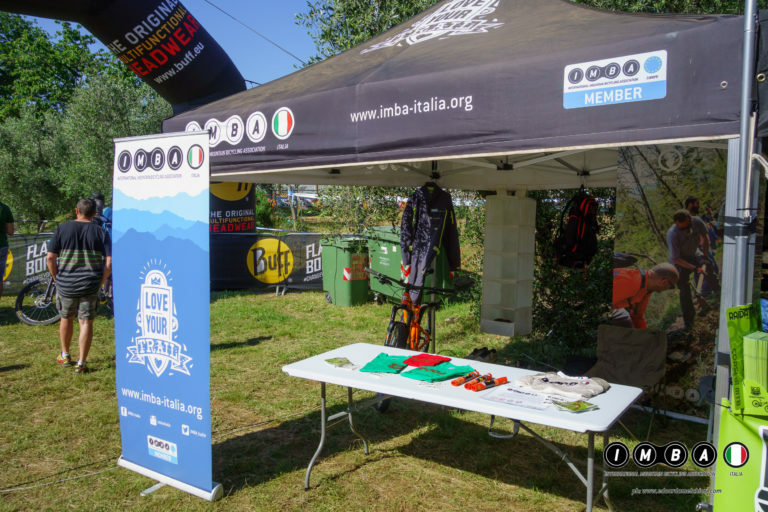 The aim or our conversation was for Edoardo to share a sense of the unique opportunities and challenges IMBA Italia has tackled since its creation in 2012, and what the future may hold for mountain biking on the peninsula. My initial query for Edoardo was how the Italian organization is funded, and if companies in the local bike industry are supportive. 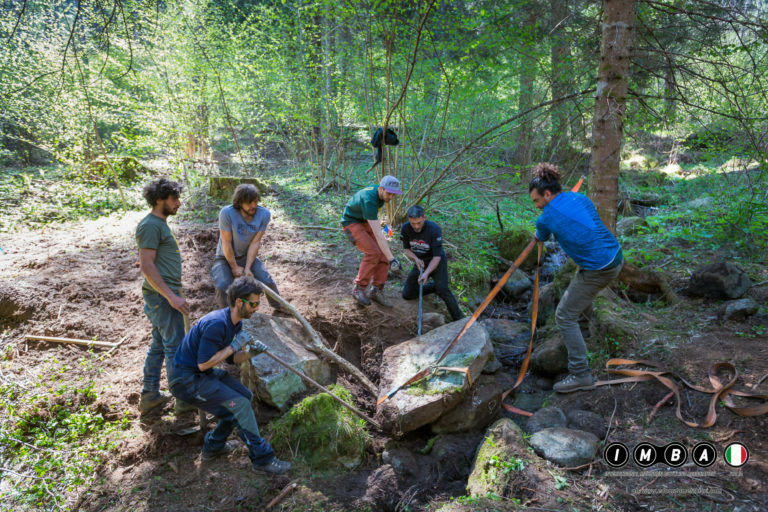 Edoardo and his colleagues lead one of the longest-running annual trail building schools in Europe, where students learn trail build theories, flagging, design, building techniques, and maintenance. The event, held in late April or early May, typically hosts 50-60 eager attendees. 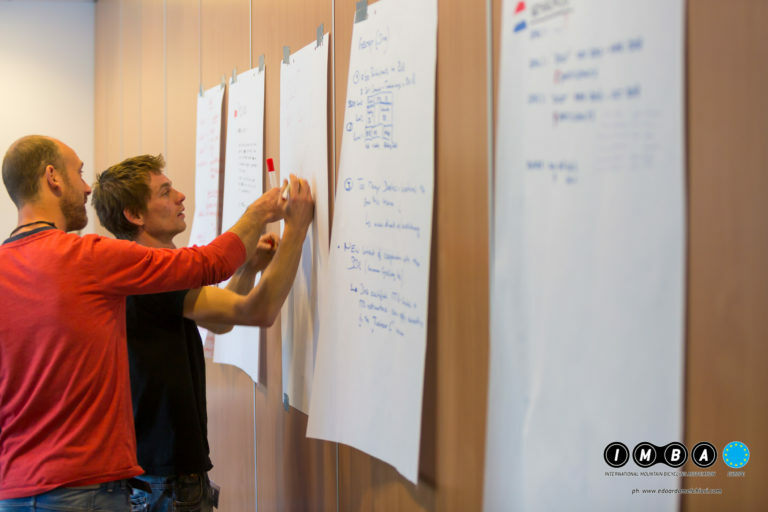 Ski resort employees, mountain bike club members, and folks who hope to improve their local tracks come from all around Europe to engage in the weekend-long, multilingual classes. Having lived here for over two years now, I know a bit about mountain bike culture in Italy, and there is always something fascinating to learn. I asked Edoardo what is unique about our sport in Italy. I immediately connected with Edoardo’s response. No matter where you are riding in Italy you will pass some ancient artifacts from Etruscan, Nuragic, Roman, or other civilizations. Often these artifacts will appear to be simple, like an old farm wall or the wells where butter was churned alongside a stream. Other times a towering castle wall will line one side of the trail. In Italy, a large portion of the tracks themselves are former munitions and supply routes built by the Romans, and expanded later by the Italian military. Some of these trails have been used by farmers for centuries to bring food to local markets and processing centers. It’s not uncommon to ride right through a working olive farm or grape vineyard when riding at lower elevations. Today those ancient trails, also called Roman Roads, need to be maintained, and new tracks built to continue the growing momentum in the mountain bike community. Edoardo makes it clear that every chapter is searching for more volunteers to help with this work. 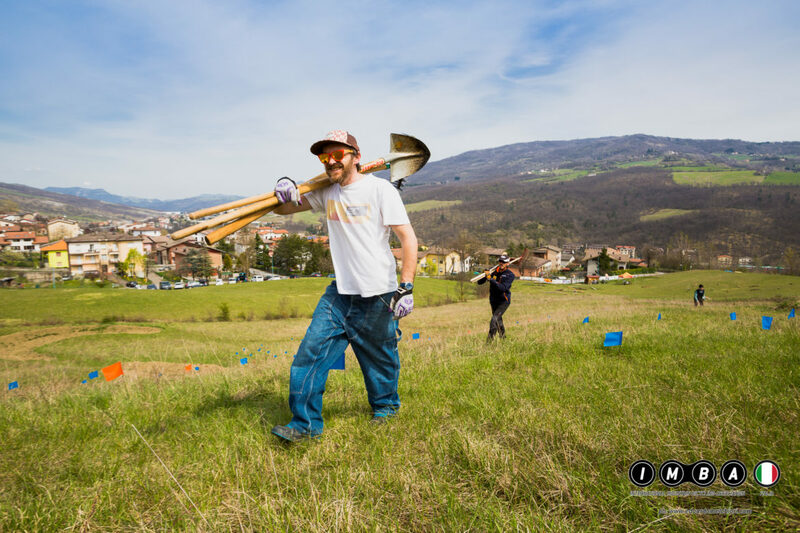 So where is most of the trail building happening in Italy? What factors determine where trails are built? Knowing that e-bikes are allowed on nearly any trail in Italy, and supported with charging stations at most bike parks, I asked what IMBA Italia’s stance is on pedal-assisted riding. A lot of e-bike riders in Italy are new to the sport and IMBA wants to make sure folks know proper trail etiquette and rules, no matter which bike they chose. Edoardo and I live in a city with over 100km of legal and illegal trails to enjoy. I asked him if IMBA is working to add these trails and builders to its network. Some of the trails in our backyard go through 30 different property lines from start to finish, and the folks who build them often do so without permission. 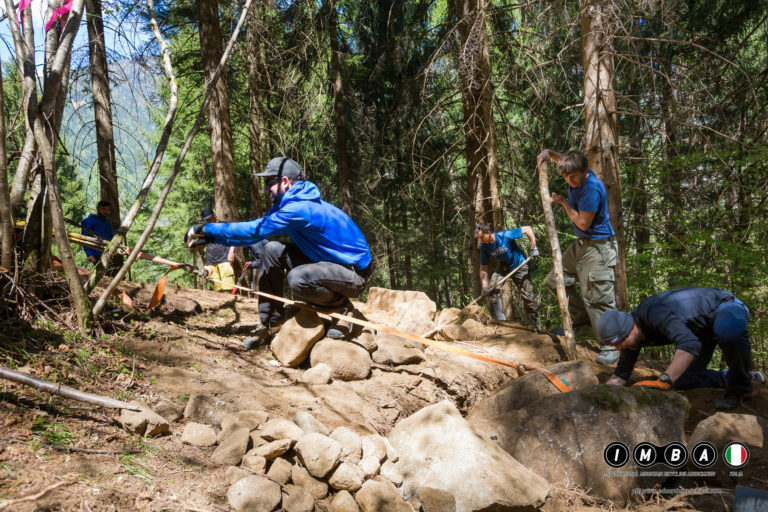 It sounds like IMBA is trying to teach folks proper trail building procedures whenever possible, but they don’t have the bandwidth to take on every trail and builder out there. 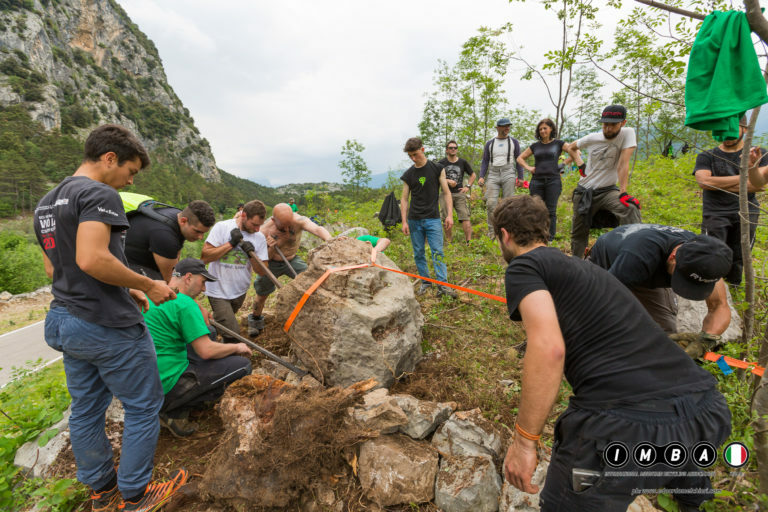 IMBA Italia has a reputation for holding fantastic build classes and events. So what’s coming up next? 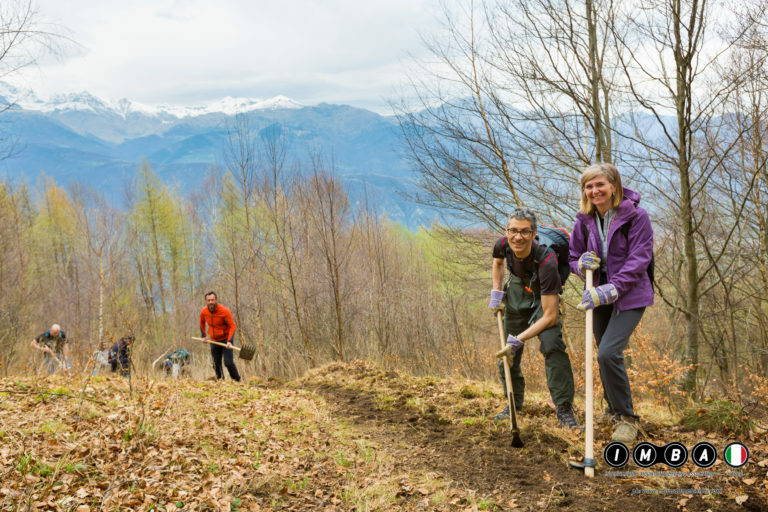 In addition to their trail care days and classes, IMBA Italia will be coordinating some women’s specific trail events in 2019. For more info, you can follow along via their Facebook Page or sign up for their newsletter. The next IMBA Europe summit takes place in Silkeborg Denmark, May 9th-11th. The summit overlaps with the Sohojlandet MTB Festival, so if you want to learn about the future of EU mountain biking you can get some rides in between the seminars.